Credit card is globally accepted mechanism for making payment today. Earlier very few companies were offering credit cards. Benefits, interest rates and fees offered by these companies were also limited. But today we find the number of credit card companies had joined the market. Today purpose specific credit cards are offered to customers like fuel card, air miles card, shopping card etc. 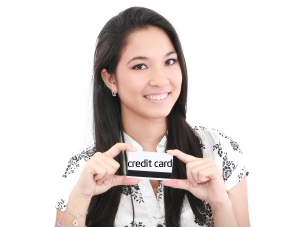 Credit card companies are also offering mouth-watering benefits like reward points, cash back, and other incentives. Sometimes we get attracted by these benefits and accept credit card without looking at basic features like annual fees, interest rate, grace period etc. These credit cards can look worthwhile at an initial stage, however, all these benefits get defused when we receive actual credit card bill. Before accepting any credit card, it is advisable to carry out independent online research. You should be convinced that offer given by Credit Card Company is rewarding and will help you in saving money. To help you out in deciding right credit card, I am herewith Top 10 Best credit cards available in the market. Axis bank infinite credit card is offered to Axis Bank customers. This card is admired because of zero joining fee and zero annual fees. The interest rate applicable is also lowest. Interest-free grace period offered by this card is 50 days. Axis bank Infinite credit card offers 25% cash back on the purchase of online movie ticket. The fuel surcharge is waived off for a transaction between Rs.400 to Rs.4000. Citi Bank Rewards Card is offered with zero joining fee and Rs. 1000 Annual fees. Annual fees o this card is waived off if you make a transaction of Rs 30,000 or more using card in a year. This card offers 10 time more rewards on spends at attire and shopping malls. This card also offers additional bonus points at joining, on birthday, on subscription of e-statement and on a renewal of the card. These points can be redeemed by cash back or by purchase at premium merchandise. SBI Gold Credit Card is offered with joining and annual fees of Rs.299. The interest rate applicable is 3.35% per month (40.2% per annum). SBI Gold card offers cash point on every purchase. You can get 100 cash points for every Rs 100 spent on a departmental store. These accumulated points can be redeemed against gift vouchers, electrical appliance or other lifestyle product purchase on their website. Joining fees of ICICI Bank Coral Credit Card is Rs.1000 + service tax. You will get tie worth Rs.999 as a welcome gift. An annual fee of this card, second year onward is Rs.500 + service tax. This annual fees will get waived off if you spend 1.25 Lakh using this credit card in a year. ICICI Bank Coral Credit card works on the concept of PAYBACK. It offers PAYBACK point for every transaction. You can earn 4 points on Rs 100 spent on dining & grocery. This PAYBACK point can be redeemed as Cash or as a gift through an online catalog. ICICI Bank Platinum Chip Credit Card is most secure and adorable credit card. Joining fee of this credit card is Rs 199 + Service tax. This Joining fee is waived off for online application. An annual fee applicable on this credit card is very low Rs 99 + Service tax. This annual fees will be waived off if your annual spending exceed Rs. 50,000. This card offers PAYBACK points on every transaction. It also offers fuel surcharge wavier and exclusive offer for corporate customers. HDFC Bank Platinum plus credit card is available with zero joining fee and Rs 299 annual fees. If you spend Rs 5,000 in first 90 days this annual fees is waived off. If you spend Rs 30,000 or more in first-year second-year annual fees is also waived off. You will get reward point for use of this credit card. This point can be redeemed online on HDFC website. Standard Chartered Platinum Reward credit card is offered with Rs 399 joining fees. This fee is waived off if you apply online. For this card, you need to pay annual fees of Rs 750. This fee is applicable 2nd year onwards. This card offers bonus rewards after first 5 transactions. These reward points are also given once you shop with your card at participating partner. American Express payback card is an expensive card. You need to spend Rs 750 as a joining fee. The annual fee for this card is Rs 1500. You will get a welcome gift voucher worth Rs 3000 with this card. Like ICICI bank card, this card also works on the concept of payback. This card provides 3 payback points on every Rs 100 spent. You can redeem this payback points at authorized outlets. This card is available with zero joining and annual fees. It also offers 0% fuel surcharge. You can earn 2 reward points on a spend of Rs.150. This card also offers special offers and discounts with participating partners. Last credit card in the list is Indusind Gold credit card. This credit card comes with 4 different type of plans named as home plan, shop plan, travel plan and party plan. The home plan gives you best discounts and scheme for your dream home. You will be given various saving points on every spent. This plan is suitable for home usage. If you are frequent traveler you can opt for the travel plan. If you are foodie or love to do party you should select party plan. Top 10 Best credit cards given above are selected based on extensive research and data available over the internet. You should carry out an independent study before accepting any credit card offers. Some tips for selection of credit card are given below. If you are good at paying money on the time you can select any card, however if you have a habit to make the late payment you should select a card with low-interest rates. Another thing you need to consider is your spend habit select card which is suitable to your lifestyle. Tip 2 – Get information about annual fees, interest rate applicable and Interest-free grace period. Tip 3 -Get information about overdraft limit and late payment charges applicable on a credit card. Tip 4 – As per RBI mandate, all credit card company needs to publish MITC (Most Important Terms and Condition) mentioning information about charges applicable on a credit card. Before buying any credit card, one should go through MITS. Tip 5 -Always choose a credit card that has excellent customer care support. Tip 6 – Purchase credit card as per your need. Remember credit card can be a necessity but not luxury. Which credit card is used by you? Do share your experience in comment section. You can get ICICI bank, HDFC bank or SBI bank card in Gujarat Anand.You can contact respective bank in order to get credit card.